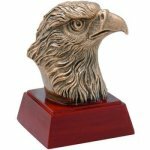 Elegant In-flight Antique Gold Eagle with High Relief Sculpture Detail on high polished black finish base. 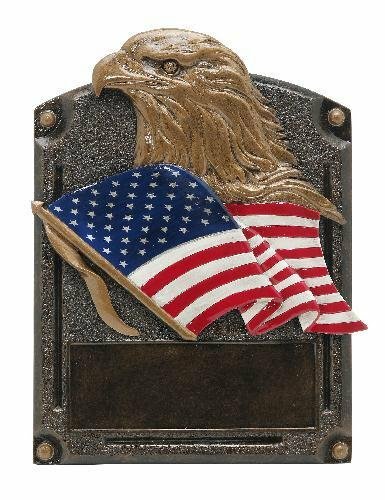 An Elegant High Relief Resin Eagle on USA Flag Sport Award on an Antique Bronze Finish with Gold Finish Border. 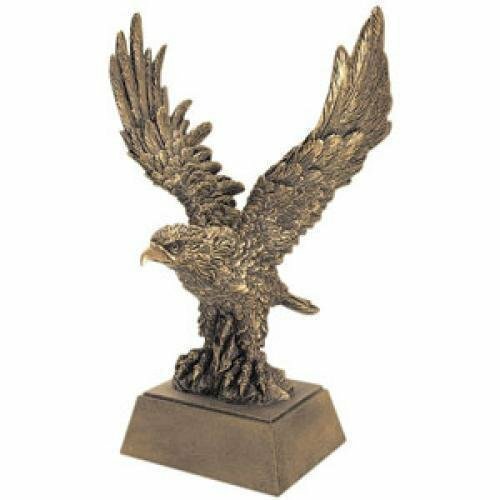 An Elegant American Eagle Soaring In Flight on Black Finish Base.